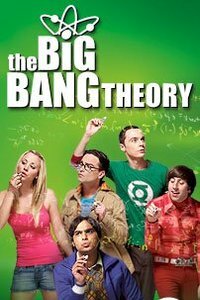 The Physics Groupie Blog: Big Bang Theory – Big Fan Here! Somehow I’ve avoided watching the award winning CBS comedy show “Big Bang Theory” until about a month ago when my TIVO, always faithful in recording shows “it” knows I will like, recorded the original pilot episode of the series. I nearly deleted it but I was already out of new reruns of Star Trek Enterprise, Stargate, and Sanctuary, so I thought – why not? I loved the show! It probably didn’t hurt that I started watching from the beginning to get the full impact of the strong set of characters, the lovely Penny, Howard, Raj, Leonard, and of course Sheldon. Since then I’ve become a faithful fan, diligently enlisting my TIVO to record episodes across multiple channels including the new season. It doesn’t really matter that I’m watching out of order. Now that I have a full understanding of the cast, and the incredibly humorous, scientific dialog including my field of astrophysics, I can safely say that each and every episode is a gem to be savored. I sometimes find myself watching some episodes twice just so I’ll be able to pick up more of the fast-paced dialog. How does Jim Parsons (the Sheldon character) memorize all that? I’m grateful I finally discovered Big Bang Theory, and I highly recommend it to all here at the Science Lifestyle Blog.